The Lord’s Prayer is essential to the Christian faith, yet the language and the ideas it conveys can be daunting to children. Our Father addresses children’s questions in a way that is both clear and poetic; Rainer Oberthür beautifully explains the meaning behind each line of the Lord’s Prayer, making it more accessible for young readers. With bold, inviting illustrations that perfectly complement the text, this book will give readers of all ages a deeper understanding of God and the meaning of faith. Lear more about the illustrator, Barbara Nascimbeni, in her five questions interview. This graceful retelling of the life of Jesus takes readers back over two thousand years ago to Nazareth, a young girl named Mary, and a miraculous virgin birth. The story continues through the years as Jesus grows up, learns among the great teachers of his day, calls his disciples, preaches, and performs miracles. The book concludes with Jesus’ last Passover meal, betrayal, crucifixion, and glorious resurrection. Anselm Grün’s accessible descriptions, along with warm, inviting paintings from Giuliano Ferri, together create a beautiful picture of the life of Jesus. Read an excerpt from the book here on Eerdlings. Ever since the Middle Ages, countless Christians have prayed the rosary as a way to focus on the story of salvation. 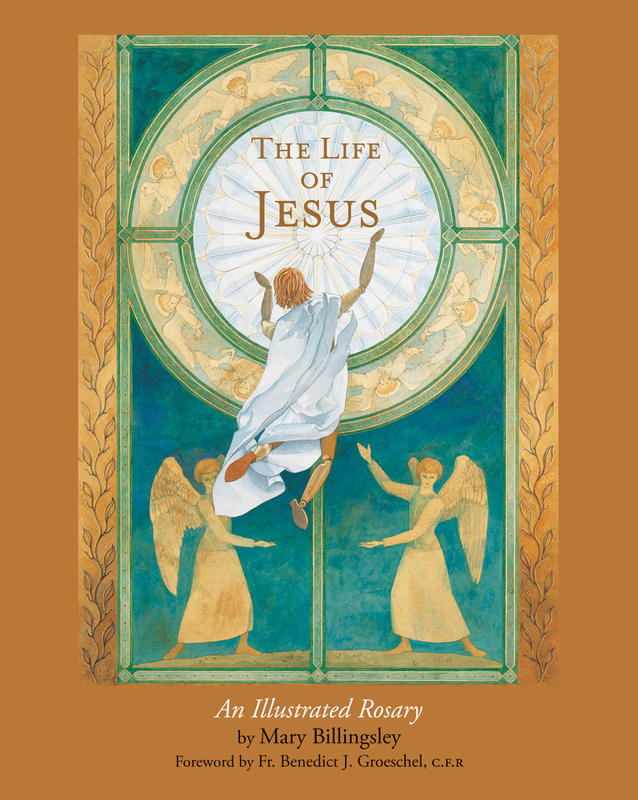 This centuries-old text that highlights the joy, sorrow, and glory of the story of Jesus is here given new life through the work of artist Mary Billingsley. In Mary’s paintings, religious symbols and everyday objects mingle to create scenes from the life of Christ, scenes that offer the viewer a sense of the divine present in earthly form. Readers of all ages will return to this book again and again, each time discovering within its pages fresh layers of beauty and meaning. Make your own rosary with this great Lenten craft on Eerdlings. A man in the crowd at Jerusalem vies to see Jesus; a disciple recounts details of the Last Supper; Pilate’s wife fears her husband’s decision. 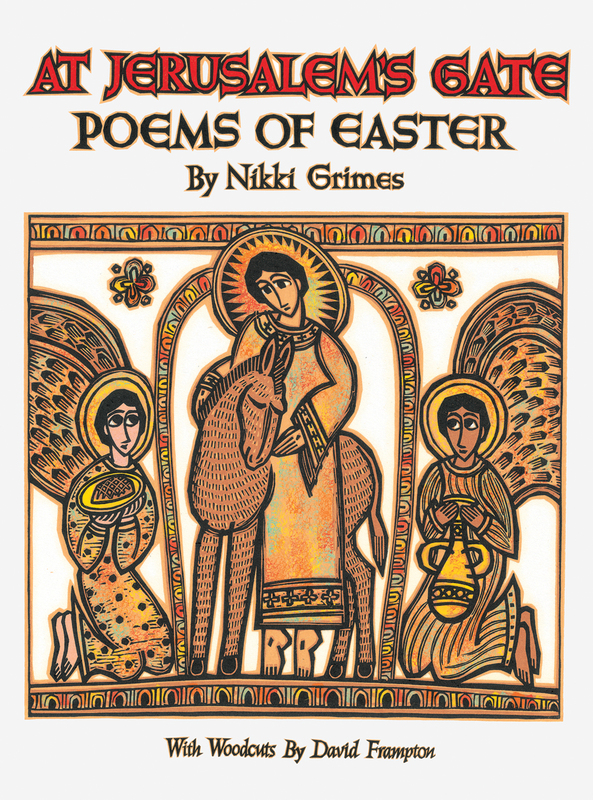 Beginning with Christ’s triumphant arrival in Jerusalem, Nikki Grimes explores the first Easter through the voices of those who witnessed it. The author’s introductions provide a thoughtful framework, and David Frampton’s beautifully intricate and expressive woodcuts illuminate each poem. At Jerusalem’s Gate offers readers of all ages insight into the most important moments in Christian history. Read a review of the book by our own Rachel Bomberger on Eerdlings. Read about some great Lenten craft ideas to accompany this book on Eerdlings. Once, a long time ago, a little donkey was brought to Jesus. The little donkey had never been ridden before, but Jesus spoke gently to him, and soon he stopped being afraid. Jesus climbed onto the donkey’s back, and they set off for Jerusalem . . . 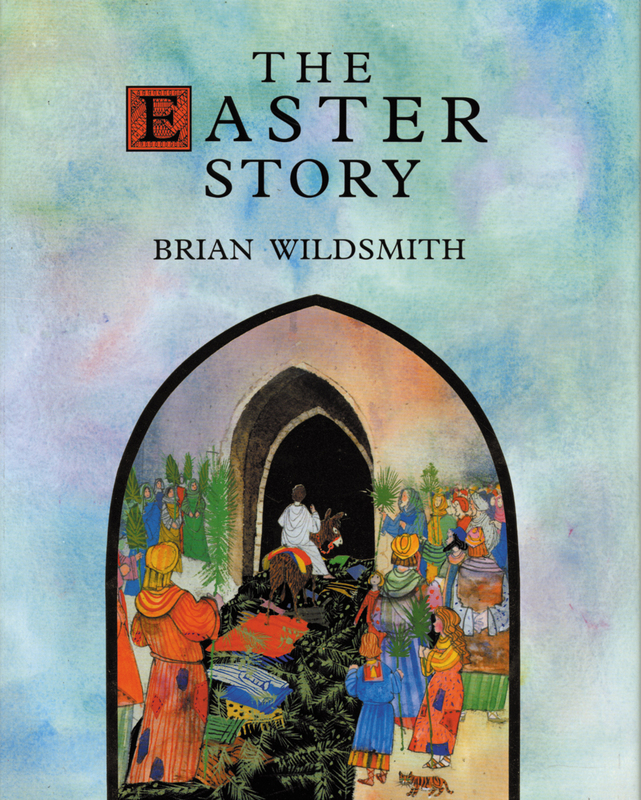 In clear, reverent language and shining gold-toned paintings, award-winning author/illustrator Brian Wildsmith creates this companion book to his earlier A Christmas Story. With an enchantingly simple perspective that will engage even the very youngest child, Wildsmith offers a splendid new version of the greatest story ever told.